The Crazy Bear Club House is open Tuesday – Saturday. The Restaurant serves lunch 12pm – 3pm and dinner 5.30pm – 10.30pm. The bar is open from 12pm – 1am. Please note that The Crazy Bear Club House is a private members’ club and therefore guests would need to be signed in by a Member. If you are not a member then we will contact you to arrange a 24 hour trial membership with a view to joining. Please note that we are a over 21's venue. The Crazy Bear Club House is the home of The Crazy Bear Members' Club. It completely embodies the luxurious and decadent nature of this unique group of Restaurants and Hotels. The Club House consists of an intimate restaurant, bar and lounge, all of which feature an abundance of marble, leather, velvet and Swarovski crystals. The restaurant offers a creative and elegant twist on Chinese cuisine included Dim Sum which is hand made in house. 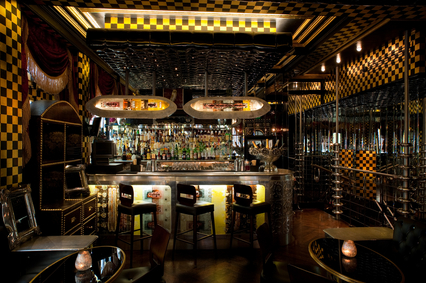 The bar offers a creative range of handcrafted cocktails alongside a hand picked selection of spirits, wines and beers. Located on the corner of Mercer Street and Sheldon Street, just off Seven Dials, The Crazy Bear Club House is the perfect location for pre and post-theatre as well as being a destination restaurant and bar in its own right. Hope you are well,  I had my birthday dinner yesterday and it was amazing. I just want to seize this opportunity to say a massive thank you to you for dealing with my enquiries. You are amazing. I also want to say a massive thank you to Chris the manager , words can't explain how wonderful Chris was towards me and my party. He helped set up the gift bags and place cards . He also brought my birthday cake out and sang happy birthday with his amazing voice. The food was so yumming,authentic and worth every penny. the service from the staff was top notch. Thanks to Georgina for taking the deposit payment and also showed me round when I came for a viewing. I will definitely be coming back to crazy bear in the future. Hi, so I must say the place does look lovely, and the food and service was really good. But, there was too much light in the champagne bar, we were kicked out of our dinning table even though I was asked to try this brand as opposed to your original restaurant booked, and we ordered a huge meal we could not finish and no doggy bag were able to be provided. I would most probably also say, i did think the place would be a tad more classier for the price. Let's put it this way, it does not look like a members only place in London at all. We were very disappointed with the service provided last Saturday evening. The restaurant was beautiful (despite being hard to find, as no named sign on the front of the whole restaurant – only a small logo which was impossible to see in the dark) and the food was lovely, however the service and female manager were very unpleasant and ruined the experience for us. Firstly, not being offered tap water and being given bottled water which cost £5, was very annoying. Due to this, we decided not to have any alcoholic drinks, which we felt may have been one of the reasons the manager deemed us young and judged us for this. The table behind us had asked for a manager to serve them, so we knew who she was due to her serving and checking on everyone. However, throughout the evening, she went around the room and checked on every table, asking how everyone’s experiences had been and checked if all the food was ok etc. We soon found that she had no intention of asking us how our experience and food was, as she walked straight past our table on more than one occasion to ask the older customers on the next table – in such a small room, this was very obvious. This made us feel extremely uncomfortable and annoyed for being treated differently and feel this was because we were younger guests and made us want to leave as quickly as possible. It ruined our whole experience and upset us for the rest of the evening. After this I would never recommend your restaurant to any friends, family or colleagues. How do you expect to gain regular, well paying customers, if you treat the younger (and future) cliental like this? Excellent dining experience. My wife and I loved it. Brilliant service from friendly, attentive staff, our meal was delicious, and surprisingly good value for money. Would definitely recommend. Fantastic meal. Food was brilliant. Definitely recommend. Excellent staff, friendly service - will be back soon. What a massive disappointment. Firstly you spell my name incorrectly, then when we arrive for our 8.15pm table you have no record of my reservation for which I had paid a £40 deposit - I had to show you an email to prove that I had one - then you tell us that we will have to vacate our table by 9.30pm (having previously told me 10.15pm). The champagne that we had was excellent, the food pretty average (and luke warm) - it was almost as though it was being cooked elsewhere and then delivered. You seem to take your customers for granted and, in doing so, you have lost the very essence of what made you special. My business relies on repeat business, you've lost mine. Georgina at Front of house is fantastic. 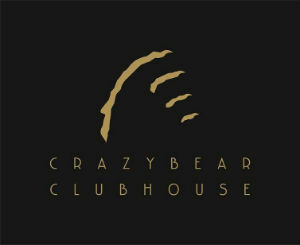 Really enjoyed the Crazybear Clubhouse & would certainly go back again. 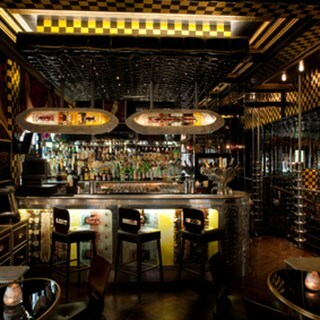 Lovely food, drink & service in very cool surroundings. I'd recommend that people are provided with a small torch with the menus (both in the bar upstairs and in the restuarant) as it's not very easy to read the menus due to the lighting (which makes the atmosphere so takes quite a bit longer to choose your cocktails and food. Overall though, really enjoyed it. Drink options are great and always well done. The staff can't do enough for us each time I visit, great place to relax with friends in an evening. Food was fine. Cocktails were good. Honestly had to be one of the best meals I have arranged for such a large group in London. The setting was lavish and so unique. The food was amazing and all ingredients tasted fresh. My guests felt very special and well looked after. I will definitely be making a return in the very near future. We went as a large group of 13 people and the food and service was fantastic. Staff were very friendly and we were well looked after. Can highly recommend. Sumptuous interiors which are oh so beautiful. Music which adds to the experience, great drinks menu & brilliant service. Perfect for an intimate, cosy date. Loved every minute, would definitely return. Really nice cosy restaurant but unfortunately the staff was quite rude! I went to crazy bear for the first time with my friend. We booked for 8 pm but we we had to wait for the table to be ready for almost an hour! Although the restaurant is quite small, the staff looked super busy and it was not easy to have their attention. We asked advise on the menu but the waitresses seems annoyed. The food is average considering the price. tremendous service, very comfortable and quirky setting, my partners and I thoroughly enjoyed the experience. Amazing service, great atmosphere and delicious food. Would highly recommend whether for a romantic meal or a Christmas party which is why we visited. The cocktails are amazing!